With the extreme popularity of the internet, every small business to large business owner shares a web space in order to be seen by the online visitors. Everyone is addicted to the internet; whether through their blog or through the social networking websites like Twitter and Facebook. People wake up and start doing some jobs on the web and therefore if you own a business organization that does not share a web space, you're perhaps lagging behind. The intention of creating a website for a company is to attract large number of audience so as to trigger higher traffic to your website. The process of targeting huge number of traffic by securing a higher search engine rank is known as search engine optimization where you optimize your website. However, you must be aware of some deadly SEO sins that can even curse your search engine ranking. Have a look at them. Low quality content: We all know that content is the king of a website and since the Google Panda update cracked hard on the large number of content farms that churned low quality content, this has become the order of the day of all the search engine optimization firms. If you upload low quality content in your website, it is most likely that your website will rank lower in the search engine rankings and thereby lose traffic. Stuffing of keywords: One of the cardinal rules of SEO is the prohibition of keyword stuffing. Though you may think that this way you can be more appealing to the search engine rankings, but this is far from being true. Remember that you must write content with the end user in mind and not the search engines. If you make your content keyword-rich, this will soon become one of the biggest reasons of high bounce rate. Poor navigation of the site: The SEO rule of the thumb goes that it should never be more than 3 clicks from your homepage to any internal page within your website. If the user of your website has to go on clicking through your website, this may have a bad impression on him and he may soon click on some other website leaving your web page. Irrelevant links: Remember that just as good content is important for securing a good search engine ranking, relevant links are also important. The more is the number of high quality links or one-way links, the better is the credibility of the website. Don't link to bad neighborhood sites as this will lower the SEO rank. Thus, if you have a website of your own, make sure you take into account the above mentioned deadly SEO sins so that you can grab the highest rank by avoiding them. Increase your visitors and your profit and boost your online business revenue. Thanks for sharing such useful information regarding regarding SEO Sins That Can Curse Your Search Engine Ranking. 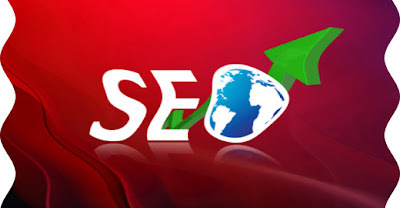 It is the very useful to SEO person.